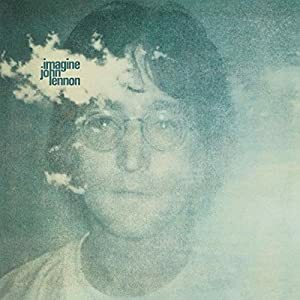 Imagine, created in 1971 by John Lennon and Yoko Ono, is considered one of the landmark songs of the XXth century. This pacifistic, idealistic song is one of the emblem of the Flower Power era. Height: 5’6” Weight: 129lbs. Age: 24. Imagine generates a field of positive energy. It fills everybody with thoughts and feelings of peace and well-being, as much as nurturing them. In her presence there are no linguistic barriers. She can deny death to anybody. Imagine has been able to block sacred and unholy blasts from angels and devils. Furthermore she can fly about as fast as she can run, reeceives glimpses of the future, and can make objects disappear at will. As a kindergarten teacher, she has basic artistic skills in most fields. Different to all the other Melomen, Imagine knew of her powers since a very early age. She was five the first time she saved her grandmother from death, six when she defended Oklahoma from an angelic storm, and nine when she had her first dream about a group of superbeings inspired by songs who fought about evil. Wanting to do something with her life beyond what the future had already planned for her, she decided to help building other children’s future and became a kindergarden teacher. At the same time she designed a separate heroic identity so her children were never put in danger. Imagine travelled the States as her visions told her of the “birth” of other “melos”, while the Trooper, the first one she met, searched for new members in Europe. Beautiful as the sun rising over the mountains, full of health and warmth, Linda tries to split very much appart her super and civilian identities. As Linda she wears simple, ample clothes, usually mixing grey and navy blue plain dresses with something more coloured like a handkerchief or a jacket for the sake of making the children happier. She wears her hair in a ponytail. As Imagine, her hair is luxuriously free, she wears psychedelic skin-tight spandex full with all the colours of the spectrum. Cheerful and optimistic, as she once “dreamt” of a world finally in peace, Linda is the soul behind the Melomen. From time to time, though, her visions have proved to not be acurate, specially as they are further in time than a few days. So although she completely believes in good and justice overcoming evil, the rest of the Melomen are not that sure that the battle will ever be won, at least without lots of effort and pain. At the same time, Imagine has a bad time dealing with things that go wrong despite her mates efforts. At such times she tends to feel guilty, giving the fault to her only and never her mates. Bohemian Rhapsody has made romantic advances towards Linda, but by the moment she has always politely evaded them. Broadcast Empath: Area Effect, Only peaceful feelings. Comprehend Languages: Area Effect, Always On. Disintegration: Only works on inorganic matter. Invulnerability: Usable on Others, Counteracts all Damage. Solar Sustenance: Usable on Others. Authority Figure, Innocent, Secret Identity. Source of Character: inspired by John Lennon’s Imagine.